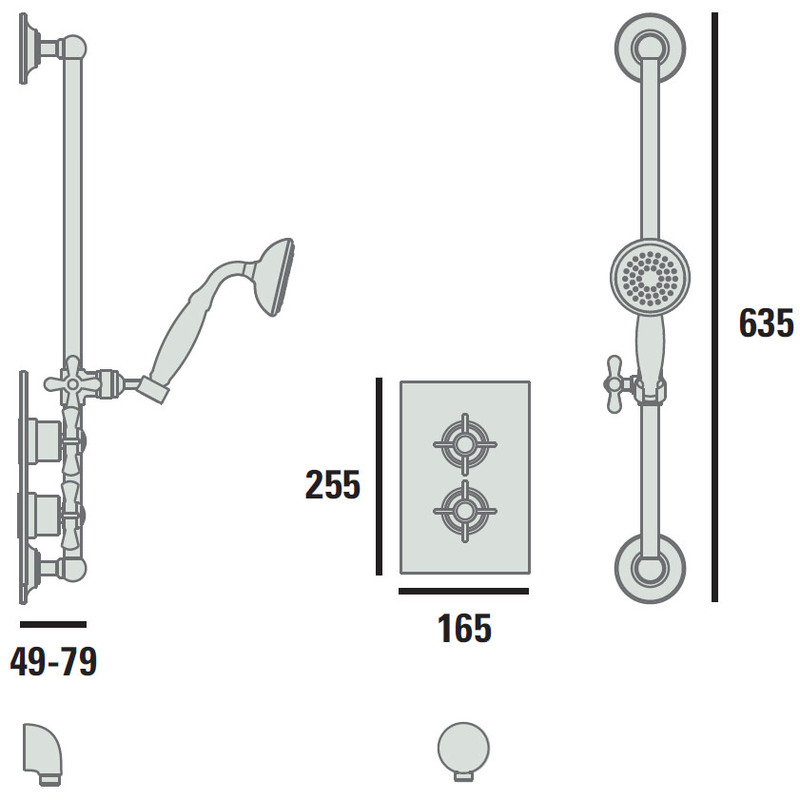 The Heritage Dawlish Chrome Recessed Thermostatic Valve with Shower Kit consists of a riser rail, handset with rub clean nozzle and hose and features separate controls for flow and temperature. 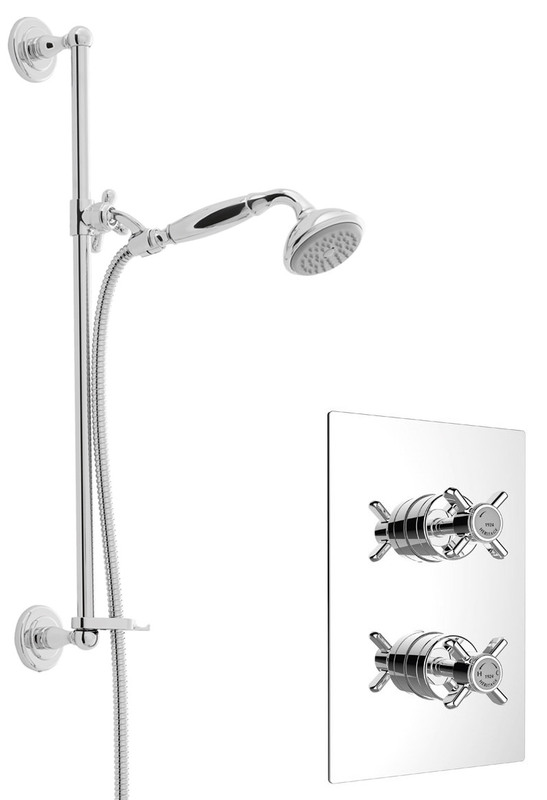 A Thermostatic cartridge maintains the preferred showering temperature accurately. An automatic shutdown system self-activates,in case of water supply failure. 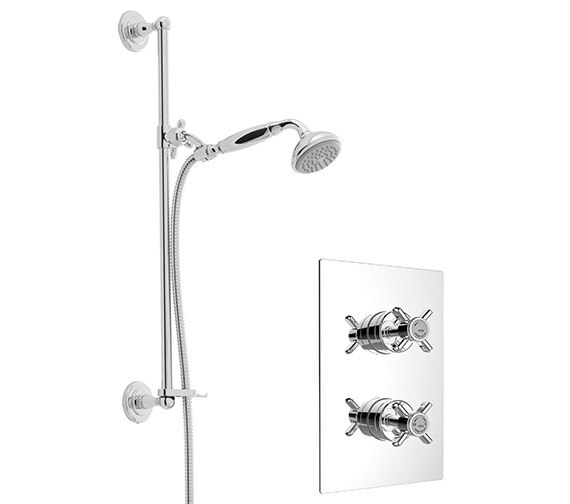 Made of high-grade brass and finished in chrome, it is suitable for medium and high water pressure systems. 5 years of guarantee from Heritage against any manufacturing defects.